Learning Award is given to California public schools to both celebrate successful efforts to engage students in civic learning and to identify successful models that can be replicated in other schools. The inaugural El Segundo Civic Day took place in 2018 and engaged students in civic learning by having them participate democratically in their community. Over the span of two days about 30 high school seniors shadowed city officials and employees to learn about careers in public service and participated in a mock City Council Meeting. The ESHS students who participate at City Hall are elected leaders from their political science classes. 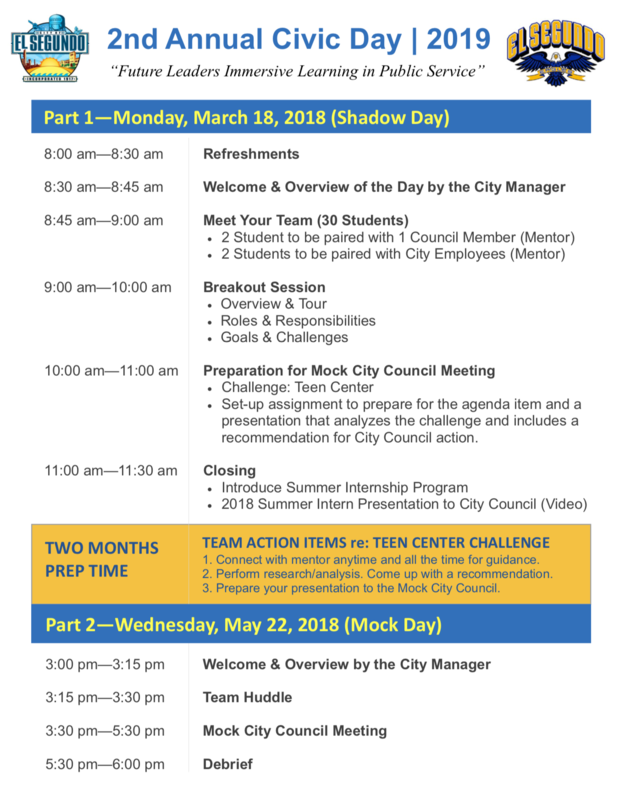 The 2nd Annual Civic Day will have the same structure and will take place a few months apart on March 18 and May 22, 2019, with Part 1 (Shadow Day) on March 18 and Part 2 (Mock Day) on May 22. 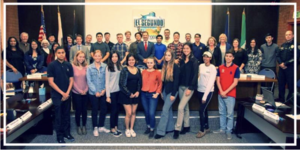 Mock Day will be televised by El Segundo TV and the press may also be invited to attend – as is the regular practice at any Council Meetings.